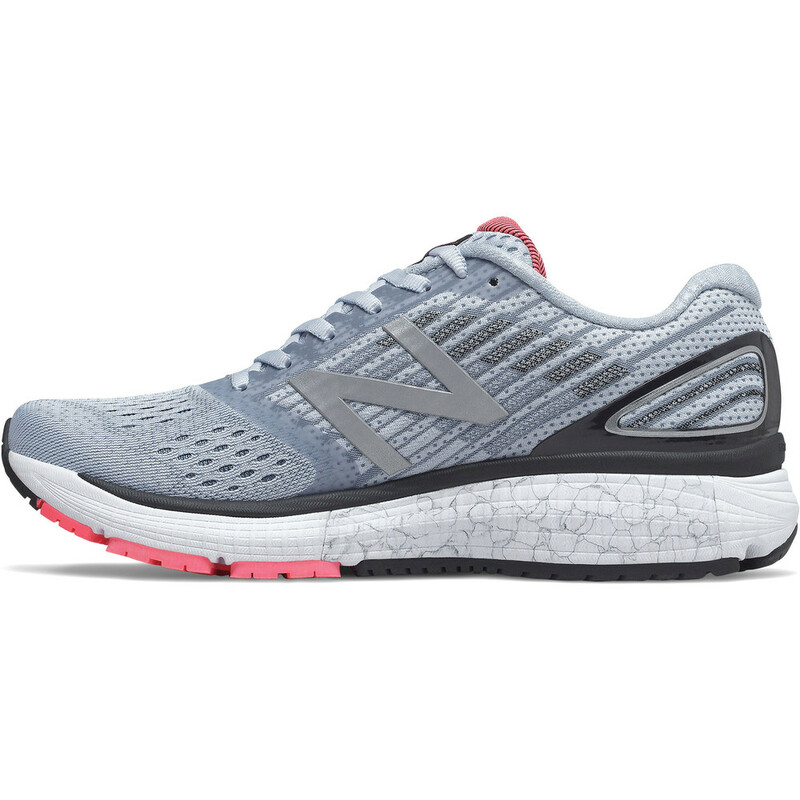 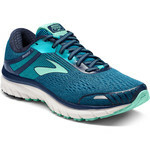 The wide fitting New Balance’s 860 stability road running shoe for women has been given some updates to improve stability and performance W860 v9 now sports an upper which consists of a lightweight engineered mesh – reinforced with heat bonded overlays through the middle to give extra support over the top of the shoe. 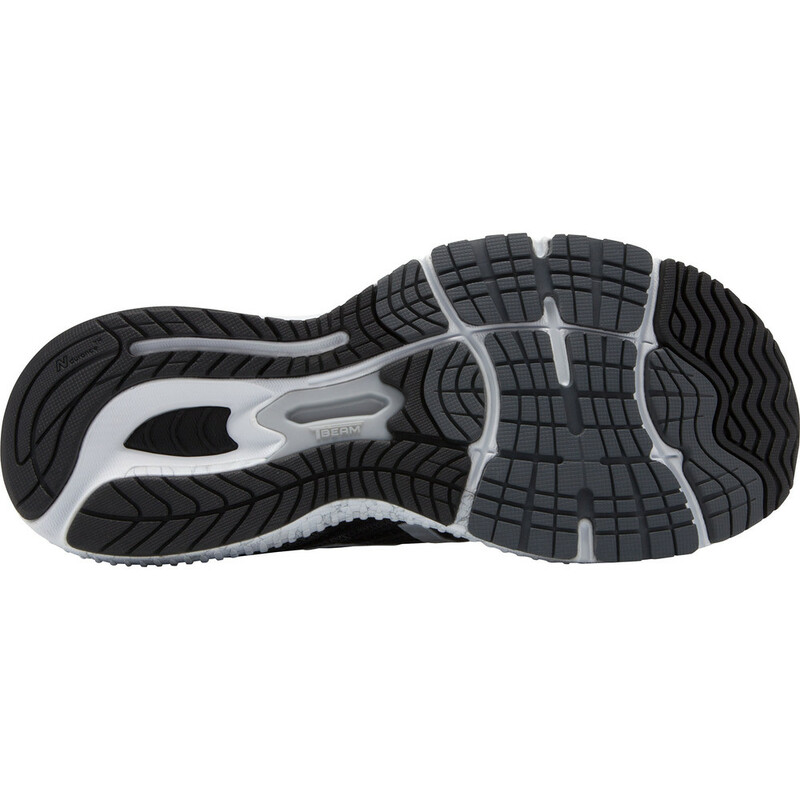 The midsole features Trufuse - a blend of Acteva foam and Abzorb rubber which offers excellent cushioning. 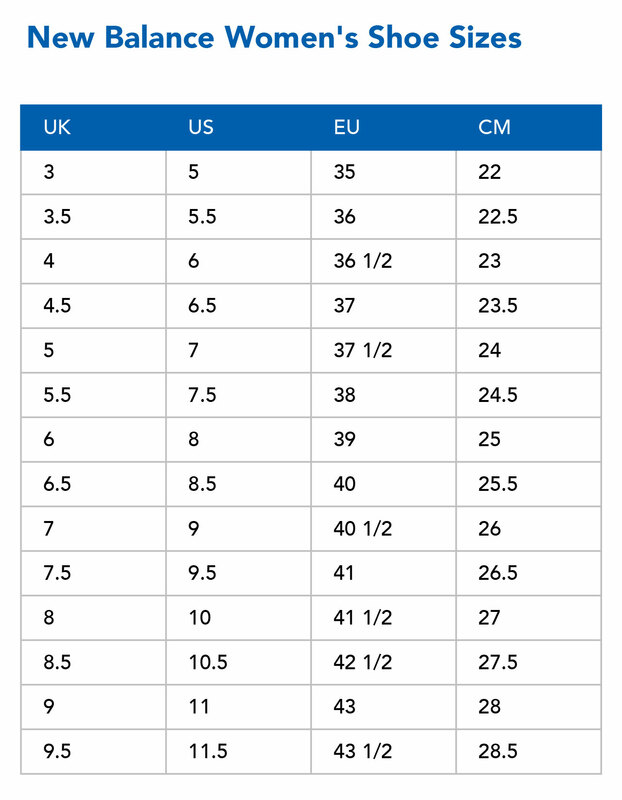 On the medial side, the midsole has been filled inat the arch area to give stronger stability where pronators need it most. 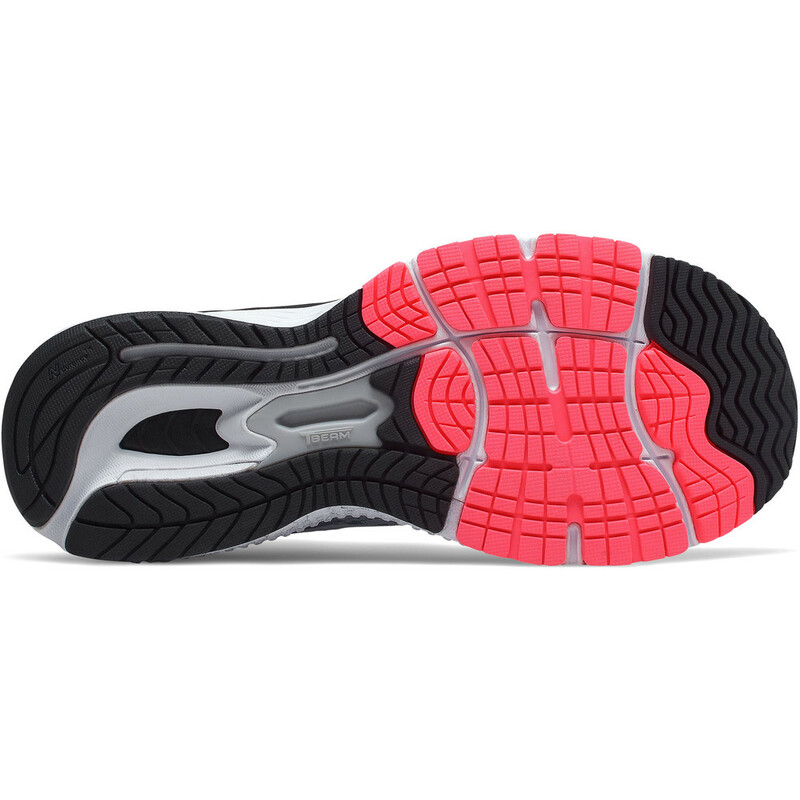 A firmer density medial post counters arch collapse and a TBeam in the midfoot provides structural integrity and control. Blown rubber on the outsole of the forefoot gives lightweight cushioning and durability at the front. 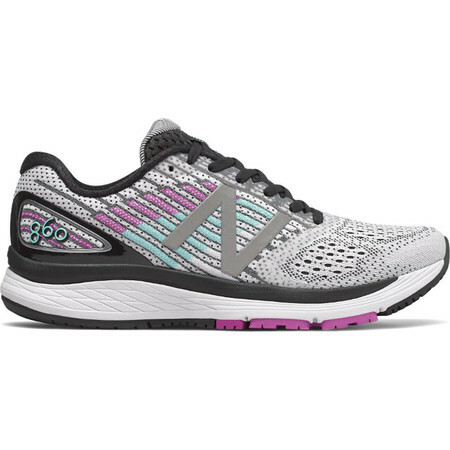 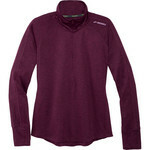 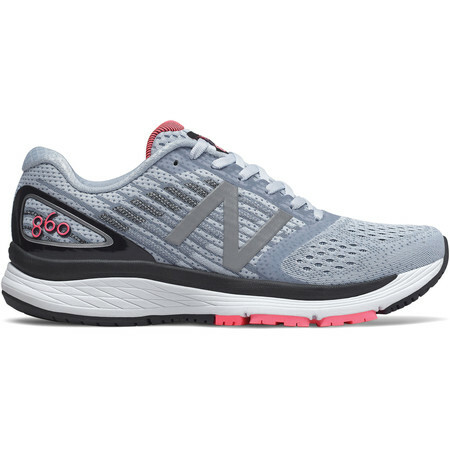 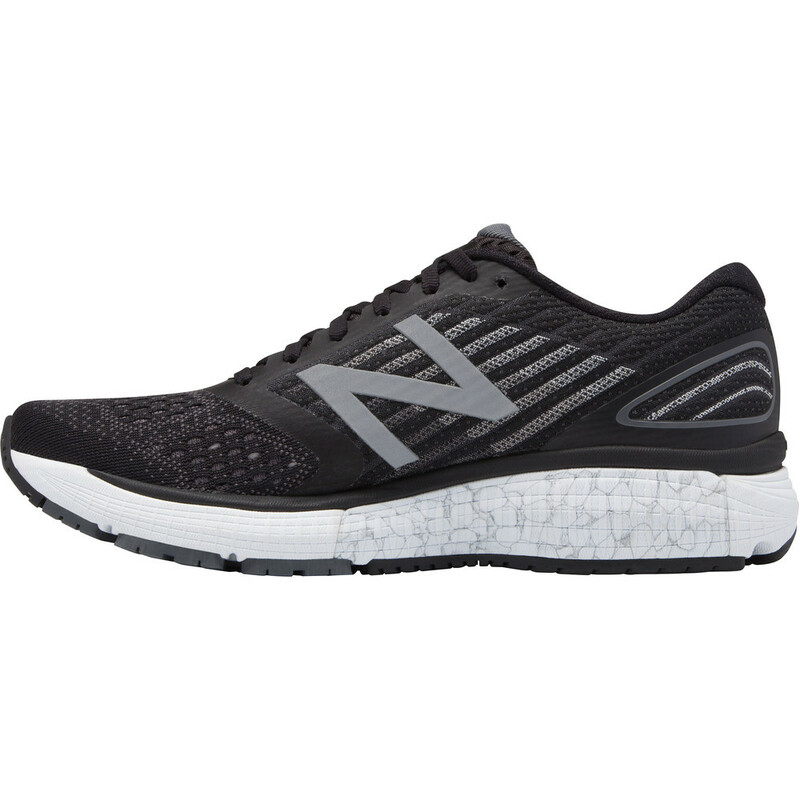 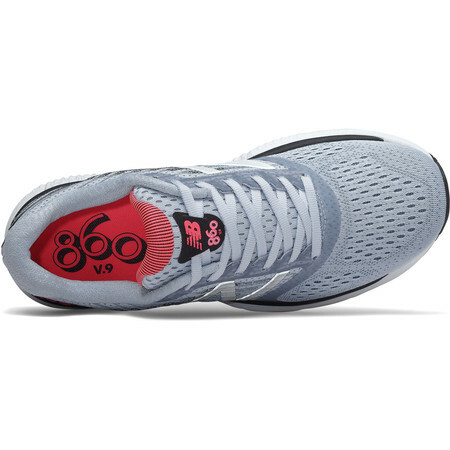 New Balance’s W860 is a comfortable and supportive road running shoe suitable for the wider female foot.